The serene, harmonious glow of the moon inspired this innovative and first-of-its-kind design from artist Jasper Morrison. Using revolutionary Edge Lighting Technology, the Superloon combines maximum performance and efficiency with visual comfort. 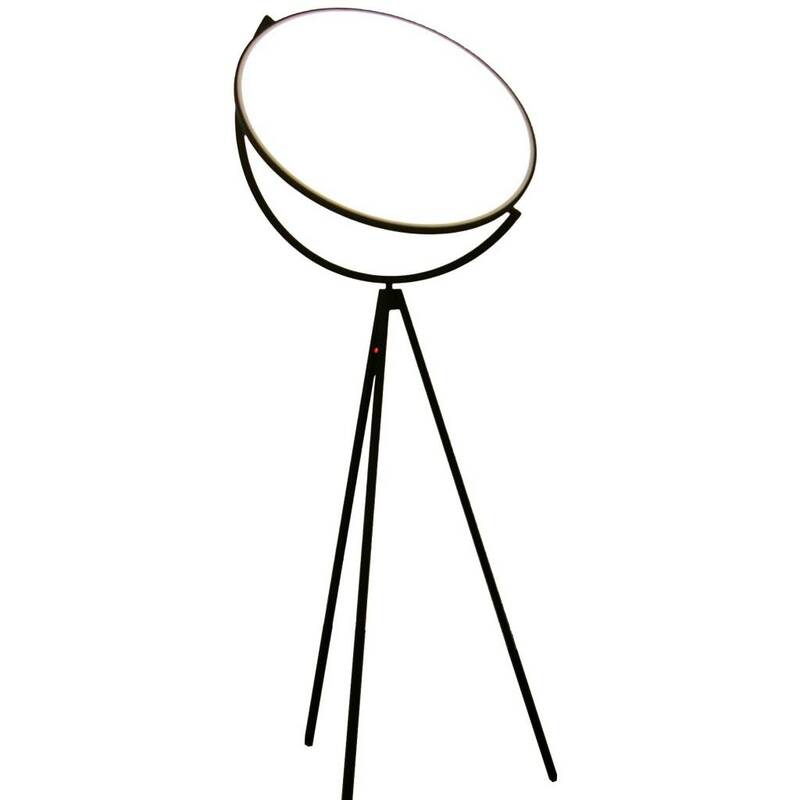 This striking floor lamp includes a Dim-to-Warm function that responds to adjustments in intensity: As it dims, light transitions from a colder blue to a warmer tone, as with a well-loved filament lamp. The Superloon provides direct light. Its painted or chrome-plated aluminum body features a metal spinning head, die-cast joints, and an extruded stem. The diffuser is silk-screened PMMA (Polymethyl methacrylate). The light source is Edge Lighting, and there is an optical switch sensor on the stem that enables the warm tone dimming function. The stem includes the Soft Touch sensor, which guarantees a fluid and precise control of light flow with a simple and natural touch of the hand. The power cord is 250 centimeters long. There is a plug-in power supply with interchangeable plugs.